Zimbabweans have expressed shock at the new price. 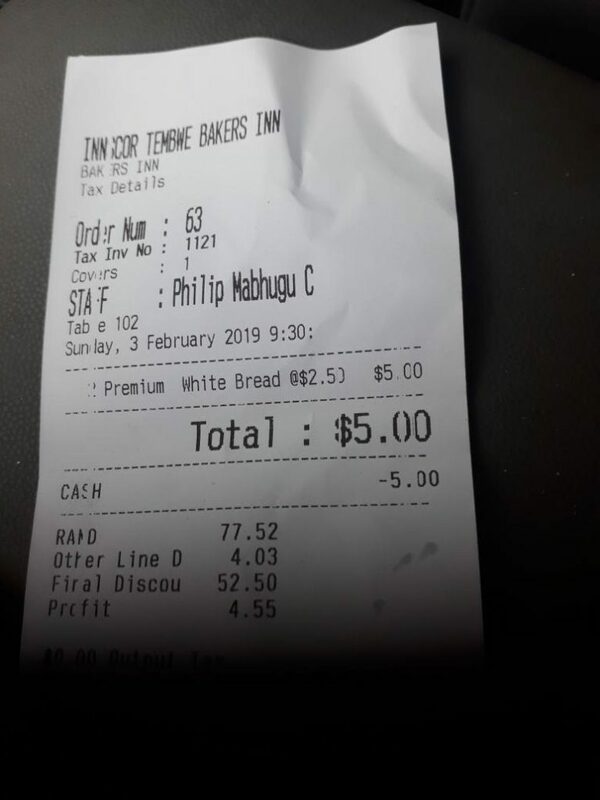 A customer that bought bread today at Innscor’s Bakers Inn in Mutare said they were shocked when they were asked to pay $5 for 2 loaves. Some retailers have however maintained the old price of $1.50. The prices of basic commodities have been going up due to the currency crisis faced by the country. The increase in fuel prices by about 150% on 12 January 2019 worsened the situation as retailers have noted the higher costs of business. The current parallel market of the US dollar to RTGS balances is 1USD : 3.9 RTGS. The government has said that retailers are taking advantage of the situation to profiteer. Oh what a shame, now the prices of everything will go up, rent, rates, electricity, water, wages and guess what suddenly out control hyper inflation.